Point Shot: A Pair of Returns Bolsters Ottawa's Offense - The Point Data-driven hockey storytelling that gets right to the point. When the Ottawa take the ice to face the Colorado Avalanche tonight, two of their best players will be making their return. 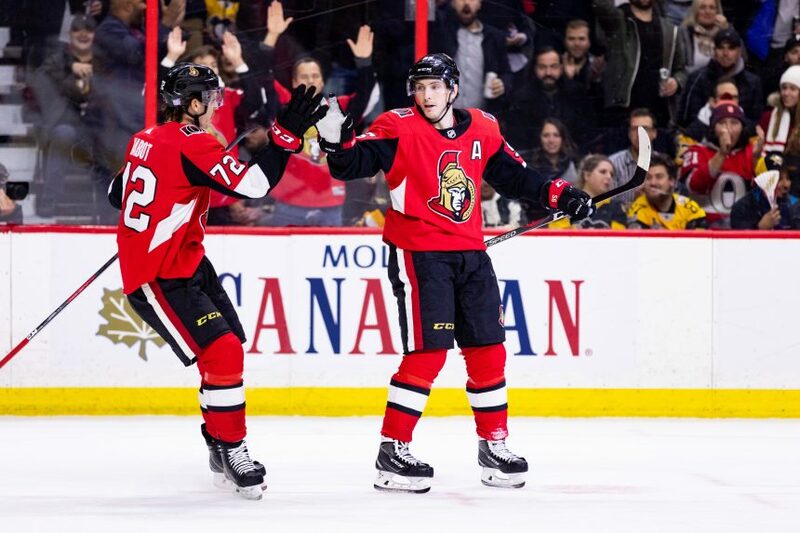 Sophomore sensation Thomas Chabot will return after missing the last eight games with injury, during which the Sens went 2-5-1. Matt Duchene will also be back after missing three games due to the birth of his child. 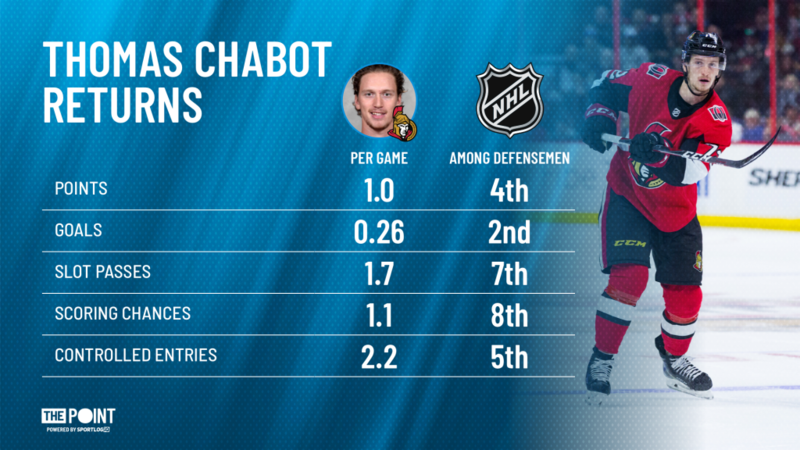 Chabot has seized the opportunity left by Erik Karlsson’s departure to establish himself as one of the best offensive defensemen in the NHL. Chabot also leads the team in ice time and is tied for the team lead in assists with Mark Stone. 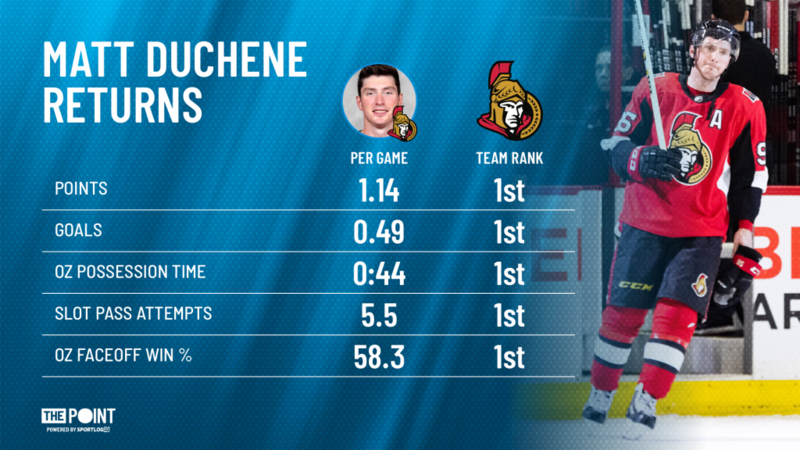 Duchene, meanwhile, is on pace to have the best season of his career. He’s scoring over a point per game, something he’s never accomplished in his 10-year career, although he came very close with 70 points in 71 games in 2013-14. He’s arguably the team’s top offensive threat and paces the team in a number of areas. Ottawa is a high event team. They score a lot, but they allow even more. They’re one of just four teams to score and allow at least three goals per game, a group that also includes tonight’s opponents, the Colorado Avalanche. With two of the Sens most dangerous offensive threats back in the lineup, expect a lot of fireworks tonight.